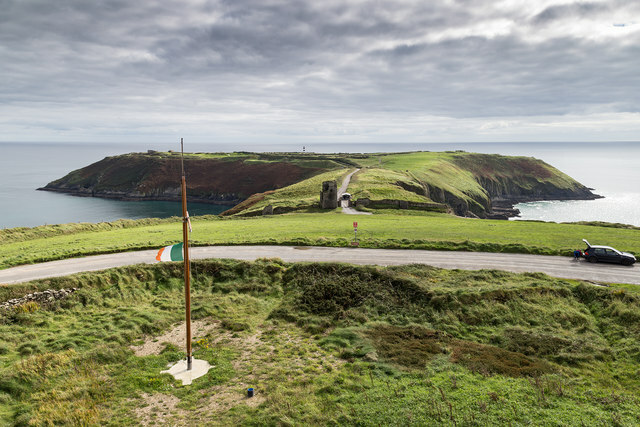 This is a promontory to the West of Kinsale. It’s a beautiful place with stunning views. It was here, in sight of land, that the ocean liner “Lusitania”, en route to Liverpool from New York, was torpedoed by a German submarine in 1915. 1198 people were killed as the ship sank very quickly. Controversy raged, with the Germans claiming there were munitions on board. The Americans strongly denied this. It appears that it was the coal dust in the empty bunkers that was responsible for the force of the explosion – not munitions. This meant that the ship sank very quickly with the great loss of life. This act of war by the Germans hastened Americas entry into the First World War. Old Head is better known now as a world class golf course. Check it out on a golf tour with Ireland and Scotland Luxury Tours.